Darksiders II Trainer. Darksiders II is an action role-playing hack and slash video game developed by Vigil Games and published by THQ. It is the sequel to Darksiders and was released in August 2012 for Microsoft Windows, PlayStation 3, Xbox 360 and was released for Wii U during launch day in all regions, except for Japan. 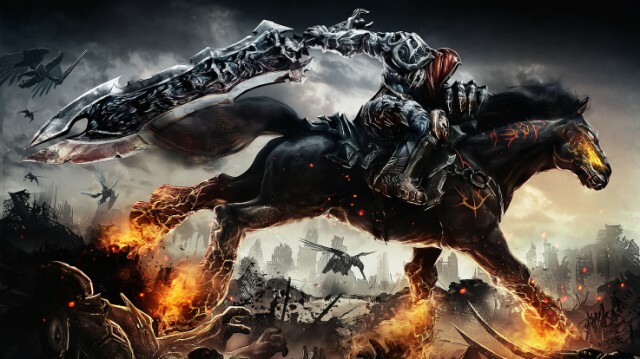 The Wii U version of Darksiders II was the last game released by THQ before the company’s demise in January 2013. Wikipedia®. Trainer for the action role-playing game Darksiders II, you can use it to activate these essential cheat Codes: Infinite Health, Infinite Wrath, Infinite Gold, Infinite Experience, Infinite Reaper Gauge, Infinite Potions, Infinite Horse Stamina, Infinite Skill Points, Reset Skill Points, Super Combo Hit, Infinite BoatMan Coin, Infinite Ammo, One Hit Kill, Super Jump, Super Attack Speed, 2x/4x/8x/16x Gold, 2x/4x/8x/16x Experience, Max Strength, Max Defence, Max Arcane, Max Resistance, Horse Super Speed, Freeze Enemies. Note: This cheat tool is for the original version v1.0 – v1.6 of the game Darksiders II.